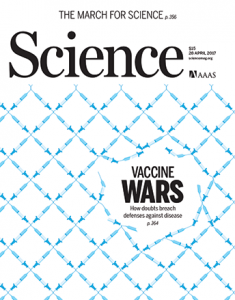 After a finding of data manipulation, the corresponding author of a 2014 paper by a team of researchers at Indiana University has retracted the work. 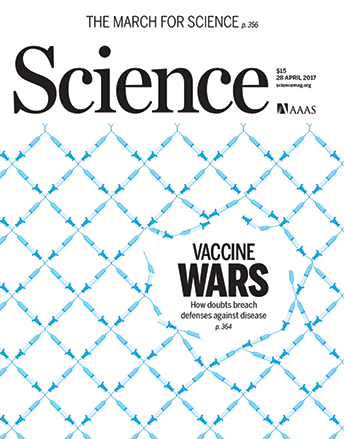 Science is retracting a 2014 paper from the lab of a Nobel winner after replication attempts failed to conclusively support the original results. In January, Bruce Beutler, an immunologist at University of Texas Southwestern Medical Center and winner of the 2011 Nobel Prize in Physiology or Medicine, emailed Science editor-in-chief Jeremy Berg to report that attempts to replicate the findings in “MAVS, cGAS, and endogenous retroviruses in T-independent B cell responses” had weakened his confidence in original results. The paper had found that virus-like elements in the human genome play an important role in the immune system’s response to pathogens. Although Beutler and several co-authors requested retraction right off the bat, the journal discovered that two co-authors disagreed, which Berg told us drew out the retraction process. In an attempt to resolve the situation, the journal waited for Beutler’s lab to perform another replication attempt. Those findings were inconclusive and the dissenting authors continued to push back against retraction. 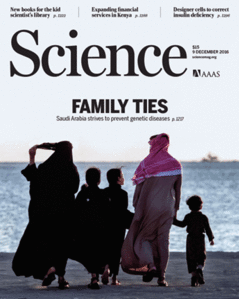 Science Translational Medicine has retracted a paper by researchers based in Switzerland, after an investigation concluded two figures had been manipulated. The investigation occurred at the University of Basel. It’s not clear what prompted it, but the paper has been discussed at length on PubPeer. After the investigation concluded two figure panels included manipulated data, the last author asked to retract the paper. Despite continuing to vigorously defend their work, the authors of a controversial paper about the effects of human pollution asked Science to retract the paper last week. Science is retracting a paper about how human pollution is harming fish, after months of questions about the validity of the data. When zoologists at the University of Oxford published findings in Science last year suggesting ducklings can learn to identify shapes and colors without training (unlike other animals), the news media was entranced. However, critics of the study have published a pair of papers questioning the findings, saying the data likely stem from chance alone. Still, the critics told us they don’t believe the findings should be retracted. If a duckling is shown an image, can it pick out another from a set that has the same shape or color? Antone Martinho III and Alex Kacelnik say yes. In one experiment, 32 out of 47 ducklings preferred pairs of shapes they were originally shown. In the second experiment, 45 out of 66 ducklings preferred the original color. The findings caught the attention of many media outlets, including the New York Times, The Atlantic, and BuzzFeed. Science has retracted a high-profile immunology paper after a probe concluded the corresponding author had committed misconduct. The paper — which initially caught media attention for suggesting a protein could help boost the immune system’s ability to fight off tumors — has been under a cloud of suspicion since last year, when the journal tagged it with an expression of concern, citing a university investigation. That investigation — at Imperial College London — has concluded that the paper contained problematic figures that were the result of research misconduct. All were prepared by last and corresponding author Philip Ashton-Rickardt, who took full responsibility. Even though the paper was published in 2015, some original blots and accompanying details have disappeared. In August, Science told us it was considering adding an Expression of Concern to a high-profile paper about how human pollution is harming fish — and yesterday, the journal did it. The move comes after a group of researchers alleged the paper contains missing data, and the authors followed a problematic methodology. In September, however, the co-authors’ institution, Uppsala University in Sweden, concluded there wasn’t enough evidence to launch a misconduct investigation. A high-profile plant scientist who has been racking up corrections and retractions at a steady clip has had another paper — this one from Science — retracted.